Families will spend an average of $700 on Christmas presents this year. 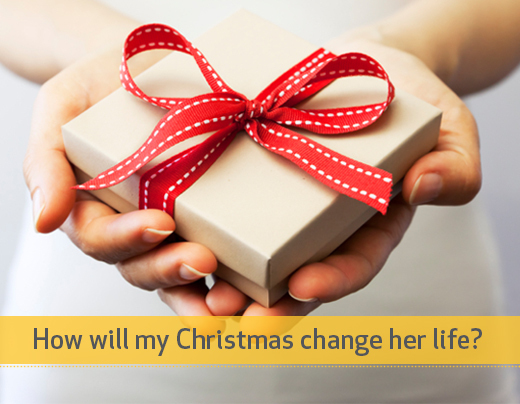 Instead of more presents, ask your family for donations that will change a girl's life. Register here and follow the prompts to create your own page. Explain your heart for As Our Own and why you are raising $700 this Christmas. Challenge your friends and family to give a donation instead of presents. Tell your family how you are using your Christmas to fight for the 82 minors who are being trafficked into sexual slavery everyday in India. Send your fund-raising page to family via e-mail, post to social networks, talk to colleagues, and spread the word on campus, in church, and throughout your neighborhood. Dedicating your Christmas means that once rescued, her life is changed. She becomes an irreplaceable member of our family where she can attend English school, learn the piano, and get the lead in the school play . . . where she lives just like a normal kid. Through As Our Own's adoptive-level care, her orphan identity is replaced; she is our very own daughter, for the rest of her life. As Our Own rescues girls from certain exploitation and enslavement, adopting them into their family. For life. Read more about our Rescue, Aftercare, and Prevention efforts in India.